I discovered Nolan’s first film when I saw Batman Begins. Like many, I looked up Nolan on IMDb and found his other stuff. Memento was on there – I’ve heard many people talk about it but hadn’t seen it yet at that point. I mentally put it on my “to watch” list. Without spoiling anything, Nolan takes the viewer on a ride with our stalker. He begins to follow Cobb who, by chance, ends being a stalker himself (and a thief). The main character (I’ll call him the guy from now on) only follows people to get a brief glimpse into their personal lives. (Is he bored? Lonely?) Anyway, he’s absolutely fascinated by the breaking and entering techniques that his new found mentor is teaching him, further going down the voyeuristic rabbit hole. Cobb even shows him how he messes with his victims. Cobb explains that “everyone has a box,” that everyone has a physical place where they keep their most valuable, intimate, and sentimental possessions. Like a shoebox with family jewelry or family photos. Cobb finds a thrill in messing with his victims’ boxes and not necessarily taking anything. This is where we see the big differences between these two characters. The guy just wants to watch. Cobb goes out of his way to make people, the viewer included, uncomfortable. This is also where Nolan switches point of view. We’re no longer exclusively with the guy. We also start to see Cobb, without him. 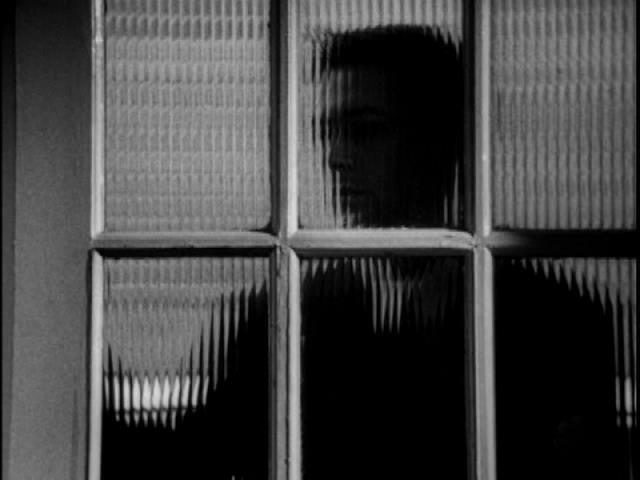 In what has become his style, Nolan starts to slowly reveal the film’s overall plot through flashbacks and selective points of views. After slowly unraveling the mystery to us, Following bares to us a jaw dropping plot that left me absolutely in awe. I felt that I had myself stumbled across an unbelievable story. That if Following were a true story and I accidentally uncovered it, the cops also wouldn’t believe me. Nolan’s use of a black and white camera (I assume this was due to the budgetary constraints of his first film) adds to the feeling that you might have found footage in your hands. The thrill of discovering and experiencing Following is a big factor in my coming to love film. It’s the want to watch, hear, and read interesting stories is why I can’t wait wait to finish this Nolan marathon and write up Memento next.